The one, holy, catholic and apostolic Church is adivine-human communion in the image of the Holy Trinity, a foretaste and experience of the eschaton in the holy Eucharist and a revelation of the glory of the things to come, and, as a continuing Pentecost, she is a prophetic voice in this world that cannot be silenced, the presence and witness of God’s Kingdom “that has come with power” (cf. Mark 9.1). The Church, as the body of Christ, “gathers” the world (Matt 23.37) to Him, transfigures it and irrigates it with “the water welling up to eternal life” (John 4.14). The tradition of the Apostles and Fathers – following the words of the Lord,the founder of the Church, who at the Last Supper with his disciples, instituted the sacrament of the holy Eucharist – highlighted the Church’s characteristic as the “body of Christ” (Matt 25, 26; Mark 14.22; Luke 22.19; 1 Cor 10.16-17; 11.23-29), and always connected this with the mystery of the Incarnation of the Son and Word of God from the Holy Spirit and the Virgin Mary. In this spirit, emphasis was always placed on the indissoluble relation both between the entire mystery of the divine Economy in Christ and the mystery of the Church, and also between the mystery of the Church and the mystery of the holy Eucharist, which is continually confirmed in the sacramental life of the Church through the operation of the Holy Spirit. The Orthodox Church, in her unity and catholicity, isthe Church of Councils, from the Apostolic Council in Jerusalem (Acts 15.5-29) to the present day. The Church in herself is a Council, established by Christ and guided by the Holy Spirit, in accord with the apostolic words: “It seemed good to the Holy Spirit and to us” (Acts 15.28). Through the Ecumenical and Local councils, the Church has proclaimed and continues to proclaim the mystery of the Holy Trinity, revealed through the incarnation of the Son and Word of God. The Conciliar work continues uninterrupted in history through the later councils of universal authority, such as, for example, the Great Council (879-880) convened at the time of St. Photios the Great, Patriarch of Constantinople, and also the Great Councils convened at the time of St. Gregory Palamas (1341, 1351, 1368), through which the same truth of faith was confirmed, most especially as concerns the procession of the Holy Spirit and as concerns the participation of human beings in the uncreated divine energies, and furthermore through the Holy and Great Councils convened in Constantinople, in 1484 to refute the unionist Council of Florence (1438-1439), in 1638, 1642, 1672 and 1691 to refute Protestant beliefs, and in 1872 to condemn ethno-phyletism as an ecclesiological heresy. The holiness of man (anthropos) cannot be conceived apart from the Body of Christ, “which is the Church” (cf. Eph 1.23).Holiness proceeds from the One who alone is Holy. 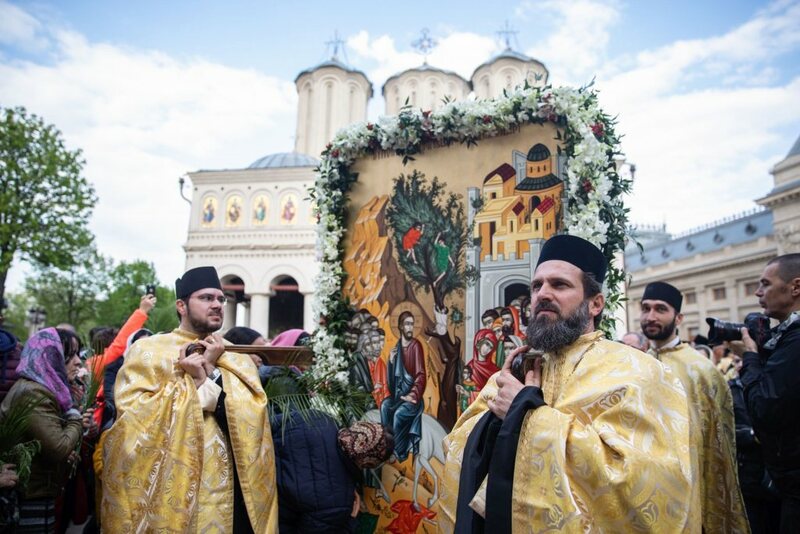 It is participation of mankind in the holiness of God, in “the communion of the Saints,” as is proclaimed by the words of the priest during the Divine Liturgy: “The Holy Gifts for the holy,” and through the response of the faithful: “One is Holy, one is Lord, Jesus Christ, to the glory of God the Father. Amen.” In this spirit, Saint Cyril of Alexandria underscores that Christ, “Being holy by nature as God (…) is sanctified on our behalf in the Holy Spirit (…) and (Christ) performed this on our behalf, not on his own behalf, so that from him and in him, who first received this sanctification, the grace of being sanctified may thus pass to all humanity …” (Commentary on the Gospel of John, 11, PG 74, 548). According to St. Cyril, Christ is our “common person” through the recapitulation in his own humanity of the entire human race, “for we were all in Christ, and the common person of humanity comes to life again in him” (Commentary on the Gospel of John, XI, PG 73. 157-161), and hence also he is the sole source of man’s sanctification in the Holy Spirit. In this spirit, holiness is man’s participation both in the sacrament of the Church and also in her sacred mysteries, with the holy Eucharist at the center, which is “a living sacrifice, holy, and pleasing to God” (cf. Rom 12.1). “Who shall separate us from the love of Christ? Shall trouble or hardship or persecution or famine or nakedness or danger or sword? As it is written: ‘For your sake we face death all day long; we are considered as sheep to be slaughtered.’ But rather, in all these things we are more than conquerors through him who loved us” (Rom 8.35-37). The saints embody the eschatological identity of the Church as an eternal doxology before the earthly and heavenly Throne of the King of Glory (Ps 23.7), providing an image of the Kingdom of God. The Orthodox Catholic Church comprises fourteen local Autocephalous Churches, recognized at a pan-Orthodox level. 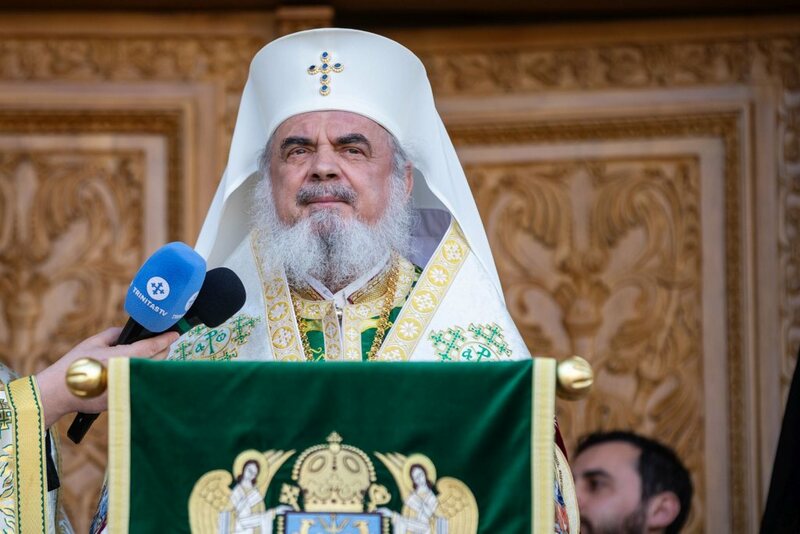 The principle of autocephaly cannot be allowed to operate at the expense of the principle of the catholicity and the unity of the Church. 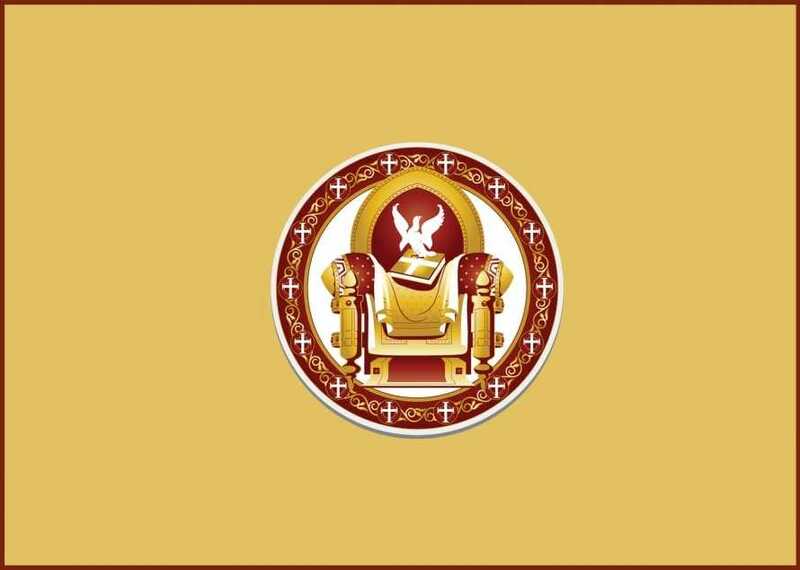 We therefore consider thatthe creation of the Episcopal Assemblies in the Orthodox Diaspora, comprising all the recognized canonical bishops, who in each area are appointed to their respective assembly, and who remain under their canonical jurisdictions, represents a positive step towards their canonical organization, and the smooth functioning of these assemblies guarantees respect for the ecclesiological principle of conciliarity. The apostolic workand the proclamation of the Gospel, also known as mission, belong at the core of the Church’s identity, as the keeping and observation of Christ’s commandment: “Go and make disciples of all nations” (Matt 28.19). This is the “breath of life” that the Church breathes into human society and makes the world into Church through the newly-established local Churches everywhere. 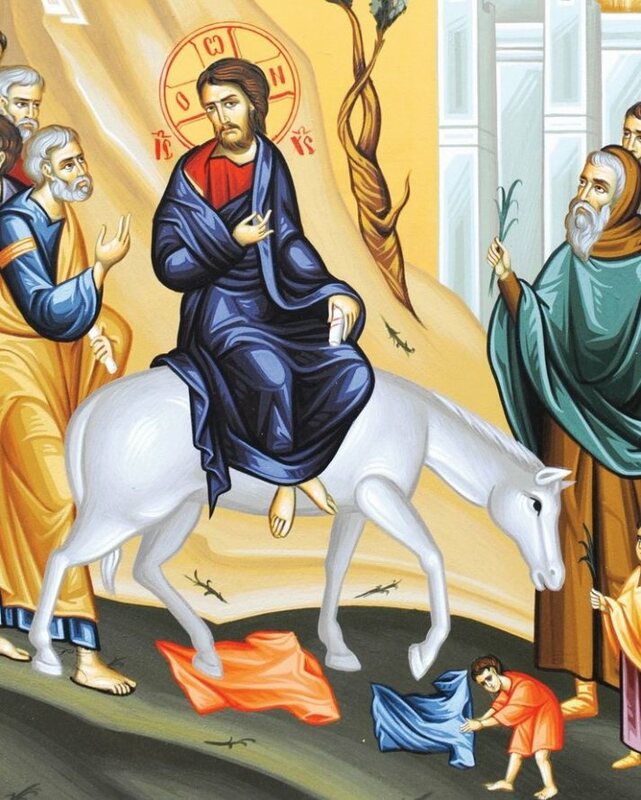 In this spirit, the Orthodox faithful are and ought to be Christ’s apostles in the world. This mission must be fulfilled, not aggressively, but freely, with love and respect towards the cultural identity of individuals and peoples. All Orthodox Churches ought to participate in this endeavor with due respect for canonical order. The Orthodox Church regards the indissoluble loving union of man and woman as a “great mystery” … of Christ and the Church (Eph 5.32) and she regards the family that springs from this, which constitutes the only guarantee for the birth and upbringing of children in accord with the plan of divine Economy, as a “little Church” (John Chrysostom,Commentary of the Letter to the Ephesians, 20, PG 62.143), giving to it the appropriate pastoral support. 9. In our time, new tendencies can be observed in the realm of upbringing and education in regard to the content and aims of education as well as in the way childhood, the role of both teacher and student and the role of the contemporary school are viewed.Since education relates not only to what man is, but also to what man should be and to the content of his responsibility, it is self-evident that the image we have of the human person and the meaning of existence determine our view of his education. The dominant secularized individualistic educational system that troubles young people today is of deep concern to the Orthodox Church. Through the contemporary development of science and technology, our life is changing radically. And what brings about a change in the life of man demands discernment on his part, since, apart from significant benefits, such as the facilitation of everyday life, the successful treatment of serious diseases and space exploration, we are also confronted with the negative consequences of scientific progress. The dangers are the manipulation of human freedom, the use of man as a simple means, the gradual loss of precious traditions, and threats to, or even the destruction of, the natural environment. In our age, there is a very prevalent enthusiasm for the impressive developments in the fields of Biology, Genetics and Neurophysiology. These represent scientific advances, the wide-ranging applications of which will, in all likelihood, create serious anthropological and moral dilemmas.The uncontrolled use of biotechnology at the beginning, during, and at the end of life, endangers its authentic fullness. Man is experimenting ever more intensively with his own very nature in an extreme and dangerous way. He is in danger of being turned into a biological machine, into an impersonal social unit or into a mechanical device of controlled thought. In a global society, oriented towards ‘having’ and individualism, the Orthodox Catholic Church presents the truth of life in and according to Christ,the truth freely made incarnate in the everyday life of each man through his works “till evening” (Ps 103), through which he is made co-worker of the eternal Father [“We are co-workers with God” (1 Cor 3.9)] and of His Son [“My Father is working still, and I am working” (John 5.17)]. The grace of God sanctifies in the Holy Spirit the works of the hands of the man who works together with God, revealing the affirmation in them of life and of human society. Christian asceticism is to be placed within this framework; this differs radically from all dualistic asceticism that severs man from life and from his fellow man. Christian asceticism and the exercise of self-restraint, which connect man with the sacramental life of the Church, do not concern only the monastic life, but are characteristic of ecclesial life in all its manifestations, as a tangible witness to the presence of the eschatological spirit in the blessed life of the faithful. The roots of the ecological crisis are spiritual and ethical, inhering within the heart of each man. This crisis has become more acute in recent centuries on account of the various divisions provoked by human passions – such as greed, avarice, egotism and the insatiable desire for more – and by their consequences for the planet, as with climate change, which now threatens to a large extent the natural environment, our common “home”. The rupture in the relationship between man and creation is a perversion of the authentic use of God’s creation. The approach to the ecological problem on the basis of the principles of the Christian tradition demands not only repentance for the sin of the exploitation of the natural resources of the planet, namely, a radical change in mentality and behavior, but also asceticism as an antidote to consumerism, the deification of needs and the acquisitive attitude. It also presupposes our greatest responsibility to hand down a viable natural environment to future generations and to use it according to divine will and blessing. In the sacraments of the Church, creation is affirmed and man is encouraged to act as a steward, protector and “priest” of creation, offering it by way of doxology to the Creator – “Your own of your own we offer to You in all and for all” – and cultivating a Eucharistic relationship with creation. This Orthodox, Gospel and Patristic approach also turns our attention to the social dimensions and the tragic consequences of the destruction of the natural environment. The Church does not involve herself with politics in the narrow sense of the term. Her witness, however, is essentially political insofar as it expresses concern for man and his spiritual freedom.The voice of the Church was always distinct and will ever remain a beneficial intervention for the sake of humanity. 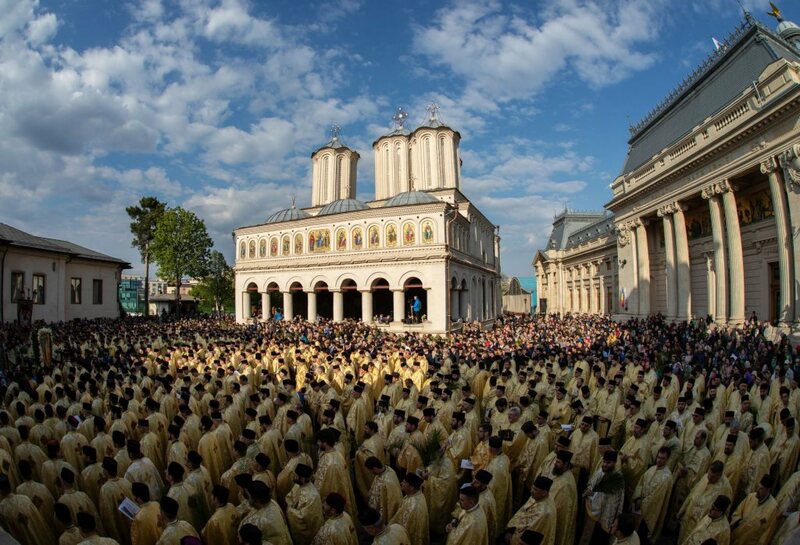 The local Orthodox Churches are today called to promote a new constructive synergy with the secular state and its rule of law within the new framework of international relations, in accordance with the biblical saying: “Render to Caesar the things that are Caesar’s and to God the things that are God’s” (cf. Matt 22.21). This synergy must, however, preserve the specific identity of both Church and state and ensure their earnest cooperation in order to preserve man’s unique dignity and the human rights which flow therefrom, and in order to assure social justice. Accordingly, the Orthodox understanding of man is opposed both to the arrogant apotheosis of the individual and his rights, and to the humiliating debasement of the human person within the vast contemporary structures of economy, society, politics and communication. The tradition of Orthodoxy is an inexhaustible source of vital truths for mankind. No one has honored man and cared for him as much as the God-man Christ and his Church. A fundamental human right is the protection of the principle of religious freedom in all its aspects–namely, the freedom of conscience, belief, and religion, including, alone and in community, in private and in public, the right to freedom of worship and practice, the right to manifest one’s religion, as well as the right of religious communities to religious education and to the full function and exercise of their religious duties, without any form of direct or indirect interference by the state. We are experiencing today an increase of violence in the name of God. The explosions of fundamentalism within religious communities threaten to create the view that fundamentalism belongs to the essence of the phenomenon of religion. The truth, however, is thatfundamentalism, as “zeal not based on knowledge” (Rom 10.2), constitutes an expression of morbid religiosity. A true Christian, following the example of the crucified Lord, sacrifices himself and does not sacrifice others, and for this reason is the most stringent critic of fundamentalism of whatever provenance. Honest interfaith dialogue contributes to the development of mutual trust and to the promotion of peace and reconciliation. The Church strives to make “the peace from on high” more tangibly felt on earth. True peace is not achieved by force of arms, but only through love that “does not seek its own” (1 Cor 13.5). The oil of faith must be used to soothe and heal the wounds of others, not to rekindle new fires of hatred. The Orthodox Church follows with much pain and prayer and takes note of thegreat contemporary humanitarian crisis: the proliferation of violence and military conflicts; the persecution, exile and murder of members of religious minorities; the violent displacement of families from their homelands; the tragedy of human trafficking; the violation of the dignity and fundamental rights of individuals and peoples, and forced conversions. She condemns unconditionally the abductions, tortures, and abhorrent executions. She denounces the destruction of places of worship, religious symbols and cultural monuments. The contemporary and ever intensifyingrefugee and migrant crisis, due to political, economic and environmental causes, is at the center of the world’s attention. The Orthodox Church has always treated and continues to treat those who are persecuted, in danger and in need on the basis of the Lord’s words: “I was hungry and you gave me to eat, I was thirsty and you gave me to drink, and was a stranger and you took me in, I was naked and you clothed me, I was sick and you visited me, in prison and you came to me”, and “Truly I tell you, whatever you did for one of the least of these my brethren, you did for me” (Matt 25.40). Throughout its history, the Church was always on the side of the “weary and heavy laden” (cf. Matt 11.28). At no time was the Church’s philanthropic work limited merely to circumstantial good deeds toward the needy and suffering, but rather it sought to eradicate the causes which create social problems. The Church’s “work of service” (Eph 4.12) is recognized by everyone. The Church manifests sensitivity towards those who have severed themselves from communion with her and is concerned for those who do not understand her voice. Conscious that she constitutes the living presence of Christ in the world, the Church translates the divine economy into concrete actions using all means at her disposal to give a trustworthy witness to the truth, in the precision of the apostolic faith. In this spirit of recognition of the need for witness and offering,the Orthodox Church has always attached great importance to dialogue, and especially to that with non-Orthodox Christians. Through this dialogue, the rest of the Christian world is now more familiar with Orthodoxy and the authenticity of its tradition. 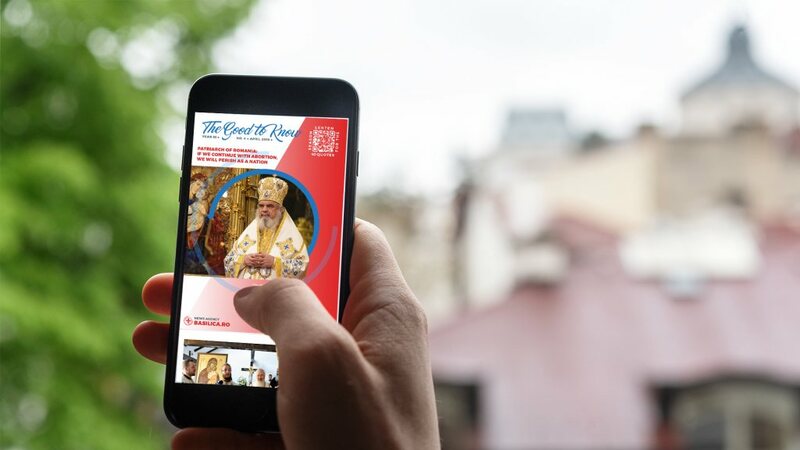 It also knows that the Orthodox Church has never accepted theological minimalism or permitted its dogmatic tradition and evangelical ethos to be called into question. Inter-Christian dialogues have provided Orthodoxy with the opportunity to display her respect for the teaching of the Fathers and to bear a trustworthy witness to the genuine tradition of the one, holy, catholic and apostolic Church. 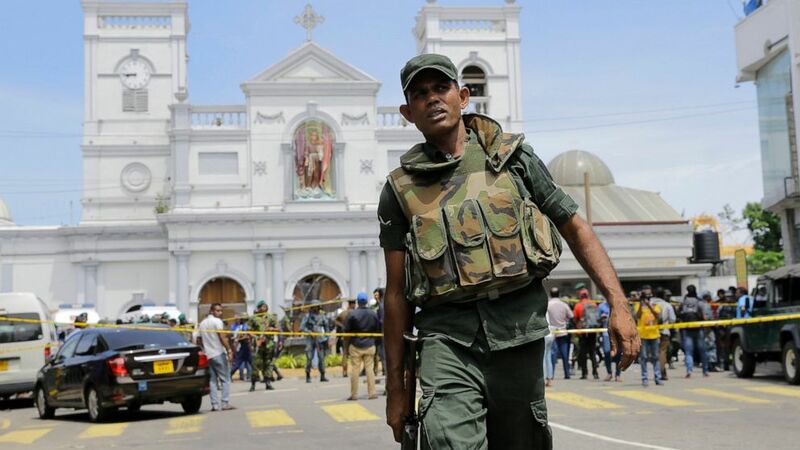 The multilateral dialogues undertaken by the Orthodox Church have never signified, and do not signify, nor will they ever signify, any compromise in matters of faith. These dialogues are a witness to Orthodoxy, grounded on the Gospel message “come and see” (John 1.46), see, namely, that “God is love” (1 John 4.8).